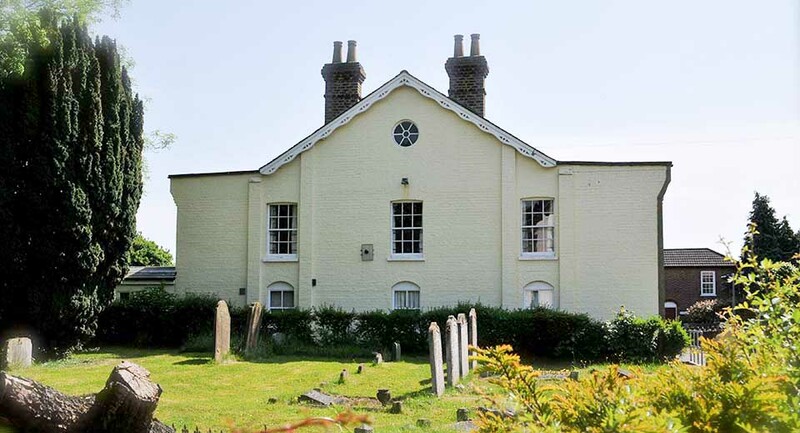 Over 200 years ago, a group of Christians started to meet together as a church in Borough Green. Whilst the people have changed, and the village has grown, a group still meets together at the crossroads after all this time! We are a church made up of people from different ages and backgrounds, but with the common ground that we believe Jesus Christ died for the sin of the world. This core truth unites us as a community, where we seek to worship the God who loves and saves us. Our leadership team is made up of our Elder, Eddie Porter, and four deacons. You can learn more about our church beliefs here or you can visit our history page to learn about the origins of BGBC. Our role as a church is to support each other as we grow in faith, whilst also telling others of this Good News. One of the ways we do this is through meeting together for our Sunday services. At these services, we worship God through singing, prayer and hearing preaching from the Bible. Afterwards we have a chat over a cup of tea and a biscuit! We’d love to have you join us for one of our services – or indeed for any of other other activities throughout the week. You’re sure to receive a warm welcome! You can see details about all of our meetings on our Activities page.